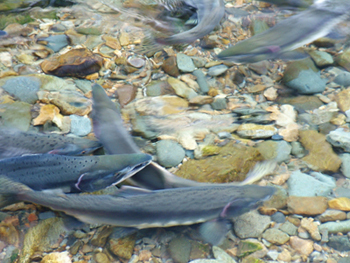 AquaSolver provides expertise in all aspects of fish husbandry. Based in San Diego, AquaSolver consultant services are available for projects ranging from full aquaculture facilities anywhere in the world, to local koi ponds and aquariums. AquaSolver is the consulting arm of the same company that brings you the AquaFinn product line of aquatic animal health products. AquaSolver is available when you need help solving an existing problem, designing and building a special project, or sourcing and supplying equipment and feed. We can lay the foundation for a new aquaculture project, improve the quality and health of your home pond, or design a simple and well-functioning filtration system. Let us help pave the way to happier, healthier fish. We look forward to hearing from you!